In selecting the 2010 winner of the Glenn Beck Honorary Award for Excellence in Misinformation, Media Matters weighed the vigor and meticulous detail the 2009 recipient, Glenn Beck, brought to the craft. Beck's dedication to fabricating facts to smear those he disagrees with is so complete, we at Media Matters for America decided to name the award in his honor. Thus, it is only fitting that the recipient of the first Glenn Beck Misinformer of the Year Award would embody the spirit Glenn Beck brings to lying, distorting, and smearing; someone who regularly promotes the very same lies and extreme rhetoric as Glenn Beck; someone who truly stands with Glenn Beck. Sarah Palin announced early this year that she would join Beck and become a Fox News contributor. Within days, Palin sat for what Beck called an "eyeball to eyeball" interview. For the rest of the year, Beck and Palin would share talking points and cross-promote each other's violent rhetoric, falsehoods, and distortions -- continuing a pattern that first emerged in 2009. Politifact deemed Sarah Palin a "Pants on Fire" liar for her claim that "Democrats are poised now to cause this largest tax increase in U.S. history." (As it turns out, that's just one of the 10 Republican lies about the Bush tax cuts.) Now, the half-term Alaska Governor is protesting, claiming on Facebook that "no such proposal exists" to "keep the tax cuts for individuals who make less than $200,000 and couples who make less than $250,000." Sadly for Sarah Palin, President Obama not only made that pledge both before and after his inauguration. He also put it in his proposed fiscal year 2011 budget. "Mr. President, publish your proposals, and we’ll duke it out." Allow the Bush Tax Cuts for Households Earning More Than $250,000 to Expire. In the last Administration, those at the very top enjoyed large tax breaks and income gains while almost everyone else struggled and real income for the middle class declined. Our Nation cannot afford to continue these tax cuts, which is why the President supports allowing those tax cuts that affect families earning more than $250,000 a year to expire and committing these resources to reducing the deficit instead. This step will have no effect on the 98 percent of all households who make less than $250,000. Over 10 years, according to the administration, the budget would save an estimated $1.2 trillion, mainly by ending the Bush tax cuts for the richest Americans and freezing some domestic spending for three years. The budget proposal released Monday would extend Obama's signature Making Work Pay tax credit -- $400 for individuals, $800 for a couple filing jointly -- through 2011. But it would also impose nearly $1 trillion in higher taxes on couples making more than $250,000 and individuals making more than $200,000 by not renewing tax cuts enacted under former President George W. Bush. Obama would extend Bush-era tax cuts for families and individuals making less. If nothing else, Republicans like Sarah Palin deserve a hand for having the chutzpah to pretend Democrats want a $3.8 trillion tax increase over the next decade. "My palm isn't large enough to have written all my notes down on what this tax increase, what it will result in.... Democrats are poised to cause the largest tax increase in U.S. history, it's a tax increase of $3.8 trillion in the next ten years and it will have an effect on every single American who pays an income tax." For one thing, according to the Pew Economic Policy Group, an extension of all of the Bush tax cuts will cost $3.1 trillion over ten years, once the costs of servicing the debt are factored in. But no one has proposed allowing them all expire, and it's incredibly disingenuous of Republicans to claim otherwise, especially since it was a budget gimmick by former President George W. Bush to include the ten-year sunset at all. Extending just the cuts for the wealthiest two percent of Americans will cost $830 billion over ten years. But that's not what Democrats are proposing; they want to leave tax rates untouched for people who make less. 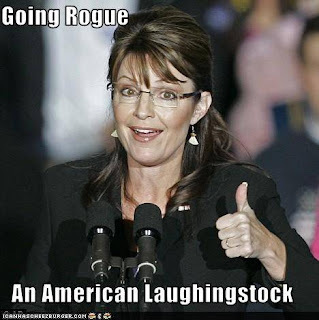 As for Sarah Palin, her pants are still on fire. And unless you're Rich Lowry, that's not a not a good thing.